Todd Haley as a Jets offensive candidate makes no sense when you consider this . . .
“Ben Roethlisberger wasn’t the only one who put off by Haley during his six years coaching the offense,” wrote Ed Bouchette of the Pittsburgh Post-Gazette. “After Haley’s first season as coordinator in 2012, three offensive coaches voluntarily left the team for other jobs — Kirby Wilson (backs) took a lateral job with the Vikings and Scottie Montgomery (receivers) and Sean Kugler (line) fled back to the college ranks. There were no coaching changes on defense. 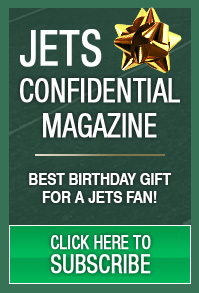 The Jets recently moved on from offensive coordinator John Morton, who reportedly, according to sources, was combative with other staff members. “Members of the coaching staff also clashed with Morton, sources said,” wrote ESPN’s Rich Cimini. “The decision came after Morton clashed with players, coach Todd Bowles and other assistant coaches, according to a source,” wrote Brian Costello of the New York Post. “Morton’s relationships with coaches and players quickly grew frosty, and let to internal issues,” wrote Sports Illustrated’s Albert Breer. So if that was the case with Morton, why would you ever consider another guy who reportedly had the same issue? That wouldn’t make a heck of a lot of sense, would it? So it might be best for the Jets to head in a different direction, and for Haley to perhaps go to Cleveland. 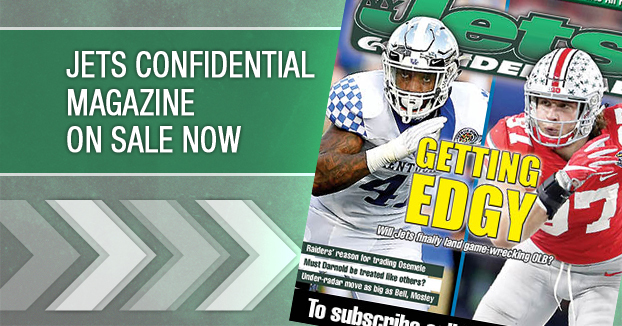 *****The new issue of Jets Confidential Magazine is on news stands. Tons of stuff on Gang Green you won’t read anywhere else. To subscribe, click below, or call 1-800-932-4557 (M-F, 9-5).